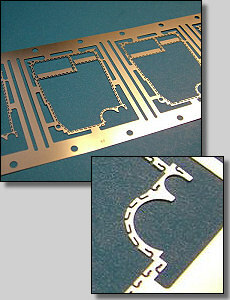 Customer Service - Leading Technologies - A Division of Composidie Inc.
Chemical etching is a low-cost alternative to stamping tools utilized for prototyping and low-volume production. for exposure assures +/- 0.0005"
intended to provide capability guidelines. We can provide the right tool for every job!